UFO SIGHTINGS DAILY: Campers see a light that moved and changed shapes over Argentina On Dec 31, 2016, Video, UFO Sighting News. 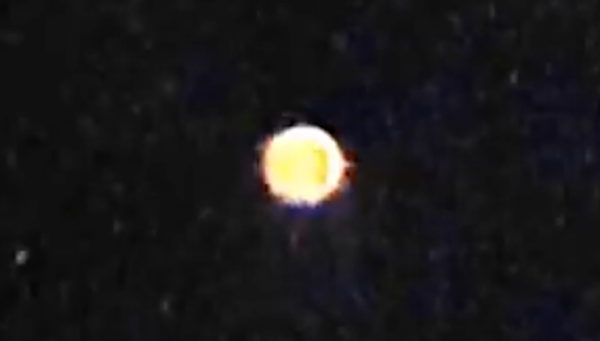 Campers see a light that moved and changed shapes over Argentina On Dec 31, 2016, Video, UFO Sighting News. This UFO is made of energy, and has been seen around the world, but most notedly over the mountains of Colorado and was once seen by tens of thousands of people over the holiest place on Earth...dome of rock. They can change shape, and in our ancient history, these UFOs have been called angels when they appeared before people, because they can take any form, but when they do, they usually have a glowing aura around them. The holy place of Dome of Rock...has a story about an angle that ascended into heaven at that very place...just like the glowing UFO in the video below from Argentina. Angel or alien...it can be both at the same time. A family camping at El Chocón on the evening of Saturday, December 31 (2016) claims having seen a UFO floating over the lake. The video they recorded shows a round light that moves and changes shape. Dario Carrizo, one of the people at the site, said that his wife and a friend recorded a light in the sky for 25 minutes. It moved quickly and changed sizes. They believe it was an unidentified flying object. "We spent the evening in a rough campground beyond the dam. That's where we saw the light, and it caught our attention, as it was very bright and moved all the time. It was quite striking," Carrizo explained. He further added that the cellphone shows a spinning object, but this detail cannon be made out clearly on YouTube. He ended by saying that it was a "lovely sight" for the adults, but no so much for the children, who "refused to go to sleep alone."